We have reached at the end of the third quarter of the current year. And with the onset of the next month, India will look forward to a month full of festivals starting with the Navaratra, Dussehra, Bakra Eid and then the Deepawali. It is a time of festive mood, celebrations, in almost every household here. And no celebration is ever complete without fun, frolic and obviously good food. I thought it was the perfect time to try out age old recipes passed to us through generations and treat our family members and friends. Hence, the chosen theme of the event is.. 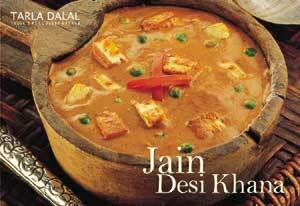 The event is guest hosted by Jillu Anand of Jiya’s Delicacy. One can check the event details and rules from her blog later today. To encourage the bloggers, www.tarladalal.com is sponsoring a cookbook as a giveaway to the winner of the event. The book gets shipped only in India and only to the followers of my blog. So what are you waiting for, open your old diaries, call up Mom and Granny and share your valued recipes in the event. The more, the merrier..